It's not often that Xara introduces a new product line, but that's what we're announcing today. Xara Web Designer is based on Xara Xtreme, but simplified and enhanced to make creating websites a lot easier. In some ways Web Designer takes over the mantle of Webstyle, which is now retired. Webstyle was a great way to create web graphics, but required a separate web authoring tool. 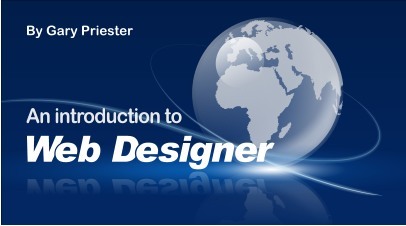 Web Designer IS a complete web authoring solution. It's been described as revolutionary by those that have seen it. Xtreme 4 introduced HTML export, and it proved a huge hit. We've built on that, made it a lot easier to use, added a lot more web functionality. A complete website creation solution, that can create beautiful websites. This one product does everything required for your website - graphics creation, photo editing and optimization, and text layout. It is not an HTML editor - in our opinion expecting users to see, let alone understand, HTML coding is like requiring car drivers to be fully qualified mechanics. It's about time software moved on and provided a solution that allowed complete freedom of design. This means complete WYSIWYG accuracy, so you can be sure that your website visitors will see exactly what you intend. It means providing advanced features such as layers, transparency, pop-ups, rollover effects with not a single line of HTML or script required. Xara Web Designer is not as powerful a graphics tool as Xara Xtreme (many tools are missing) - but it is better at creating websites. Crucially (for Xtreme owners) it is file compatible with Xara Xtreme so you can import and even copy / paste between products. The program costs just $49 for US customers, £39 inc VAT in the EU. Better still if you have Xtreme 4 or Webstyle 4 you can purchase Web Designer for just $29 or £23 inc VAT (this is an introductory 2 month offer). Xara Web Designer will be available from the middle of next week - 1st week of March. 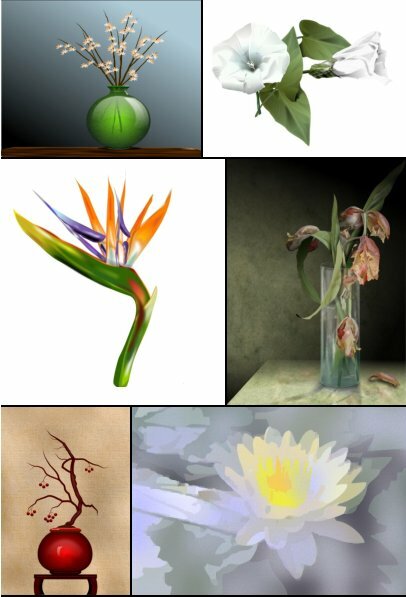 We've had a flower theme once before and it was one of the most popular Inspirational Arts ever, so here is another selection from a completely different set of artists. 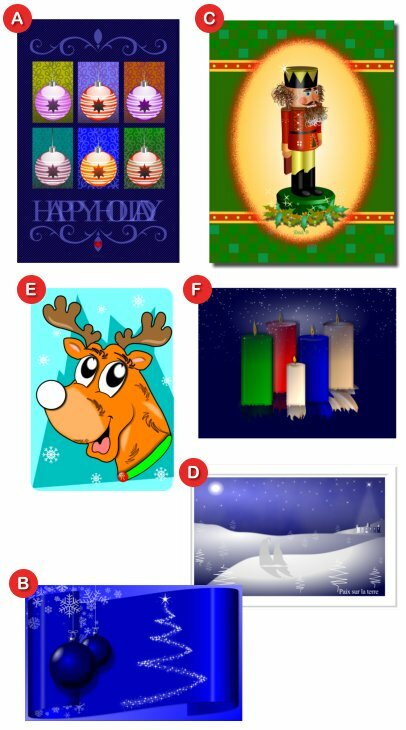 We've shortlisted 6 entries for the Christmas competition, simply click the link below to vote for your favorite. Sign up for Xara tweets and catch the latest Xara news as it happens - new movies and tutorials, great art, hot offers and updates as they happen. What's more, you know we can't exceed 140 characters! We've just launched a download-only version of the German language Xara Xtreme Pro 4. You can now also download a free 30 day trial of the German version. "With its unparalleled ease and speed of use and versatile export options, it's hard to imagine a design task for which Xara's Xtreme isn't perfectly suited. Whether you go for the standard or Pro version, it's fantastic value." "Using Xara Xtreme Pro you will soon come to appreciate its speed and flexibility. Highly recommended." "(Xara Xtreme Pro) is very powerful, and has many advanced features that are coupled with an interface and a working method that makes them very easy and interactive." This has to be one of the most valuable tips that many people don't know: In Xara Xtreme you can select a single item inside a group with Ctrl click. So for example if you need to change the color of one item in a group, you don't need to ungroup the whole thing, just Ctrl click to select it! Yes, the scroll wheel can also act as a button. Hold it down and you can drag your document with the mouse. If you press the tab key while dragging in the Selector tool it toggles solid drag on and off. If you press the tab key while dragging a fill arrow in the Fill or Transparency tool, it toggles between live and non-live fills. Which web authoring software do you use? Find out what Web Designer is all about with this quick intro movie and beginner's guide.